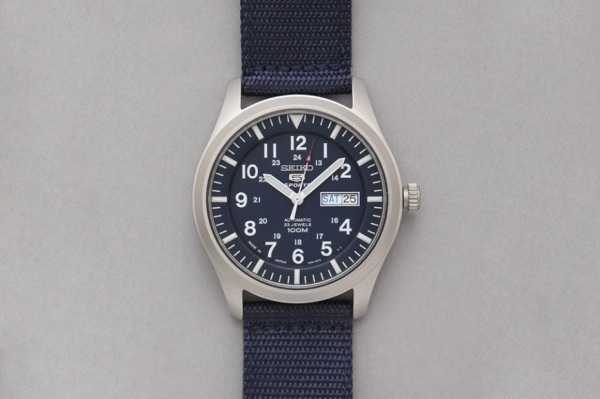 Released as a continuing contribution to their ’5 Series’, Seiko’s ‘The Made In Japan’ Military Watches celebrate Seiko’s proud Japanese heritage (the company was founded in 1881 in Tokyo) while introducing a clean, slightly modern aesthetic to the brand. The watch features 5 primary features: shock resistance, water resistance (10 atmospheres), day/date indicators and an automatic function. 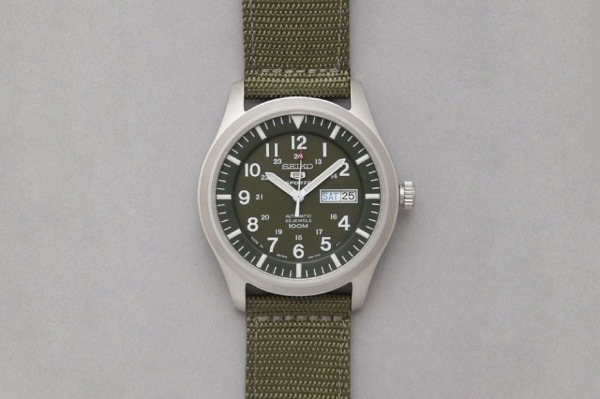 These Seiko Military watches have casings made from high-grade stainless steel, Hardlex crystal lenses and a clear backing. 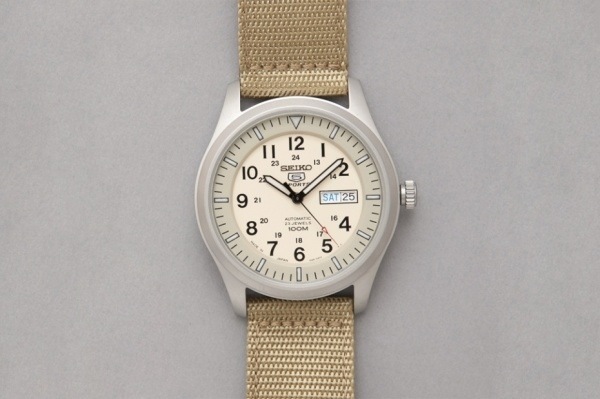 Overall, the result is a beautiful watch that combines rugged functionality with effortless fashion.